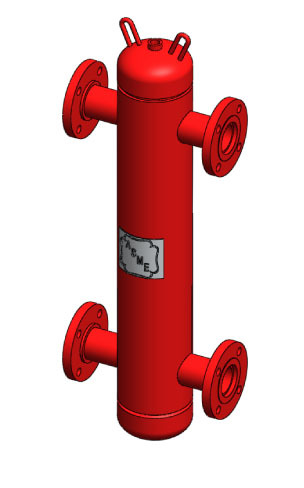 Wessels Primary / Secondary Headers are used in heating and cooling systems that require the primary and secondary loop of their system to be interlocked. The PSA is designed to keep both connected hydraulic circuits completely independent from one another and to provide a means for system air elimination. The PSAV builds on that functionality with the inclusion of Internal coalescence coils in the tank that eliminate entrained air and separate debris associated with start-up and maintenance of the system. As a result, the PSAV replaces the need for an air/dirt separator.